Why design literacy will be as important tomorrow as computer literacy is today. January 22, 2016 | ProgressTH Some may remember in the 1980's when knowing how to use a computer was a fringe skill. Computers were poorly understood by many and so was their potential utility. But today, if you are unable to use a computer, you are at such a profound disadvantage you may find yourself facing many of the challenges illiterate people face. For older generations, even those with immense talent, skill, experience and education, they find themselves outpaced and outmatched by younger colleagues with basic IT know-how. As computing continues crossing over into the physical world, both via the internet of things (IOT) and computer controlled manufacturing such as 3D printing, the ability to be able to measure, define, and create physical objects and even spaces will become as essential as computing itself. 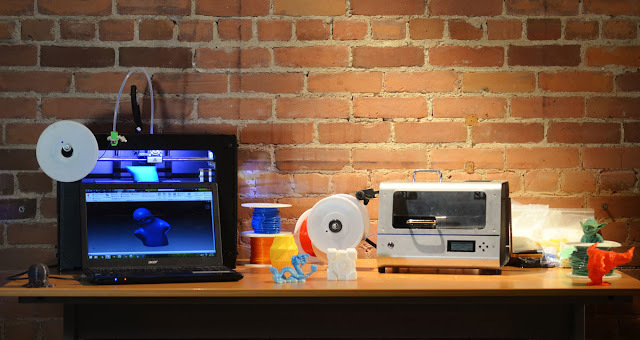 Already, even as 3D printing still takes its first few tentative steps into the mainstream, small businesses are blooming around 3D printing with everything from short run, highly customized products produced by printers, to the printers themselves. In the future, there may well be a printer in every home, but already, a printer on every block is becoming a reality. Can people afford to look upon 3D printing and the emerging internet of things with the same complacency many looked upon computing in the 1980's and early 90's? If history is any guide, the answer is no. 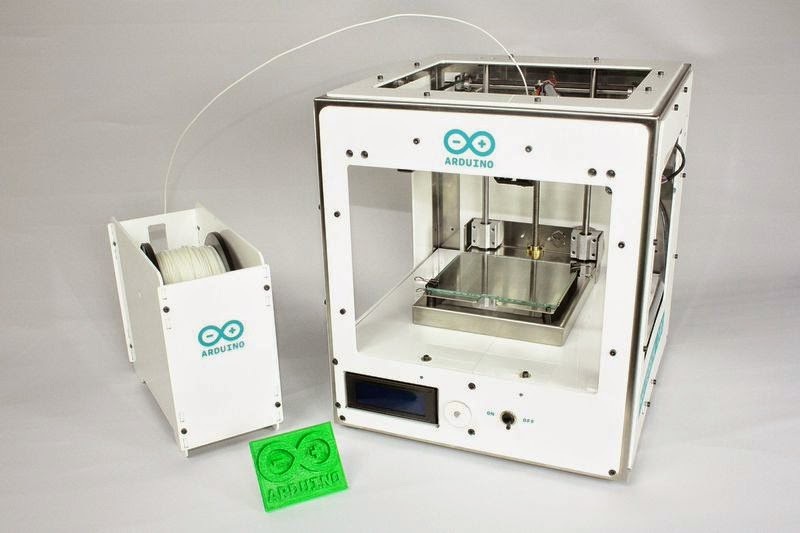 What good is a 3D printer to someone who can't design? As amazing as a 3D printer may be, for the average person, at best, they can hire someone to design something for them, or they can browse designs already created and placed in online 3D libraries like Thingiverse or YouMagine. With these options available, one might as well just buy what they want in a store or online, defeating the whole point of 3D printing. Whatever enthusiasm beginners might initially have for 3D printing will eventually wear off as they approach the obstacle of design illiteracy. For the growing 3D printing industry, this is as much a problem as illiteracy is for a publishing company. Increasing literacy expands the potential markets for publishers and likewise, increasing design literacy will increase the potential markets for 3D printing. For those intrepid people who see the obstacle of design illiteracy and decide to climb it, they may be overwhelmed by the complexity of many 3D design tools. 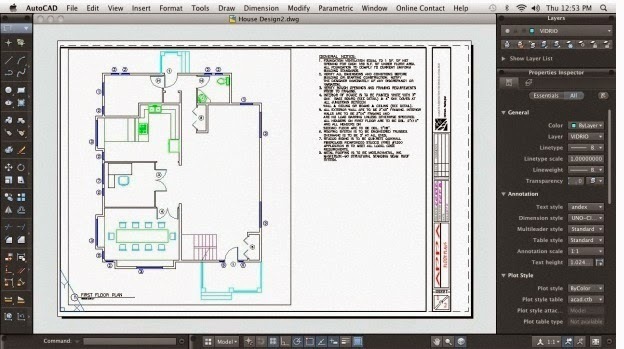 AutoCAD, SolidWorks, and others can be notoriously difficult to learn and it may be some time before actual, useful designs are produced by students of these software suites. This can be frustrating and put off many people who would otherwise dive into 3D printing. AutoCAD ... great for engineers, overwhelming for beginners. In addition to advocating and even carrying out 3D design training, the 3D printing industry might find it useful to create more intuitive tools for people to use. Just as in the field of IT where everything from word processing to spread sheets went from the realm of engineering alchemy to intuitive and simple, so must 3D design. Luckily there are already some good examples of such software that can serve as starting points for 3D specific design suites. Another factor the 3D printing industry and developers might keep in mind is standardization across design platforms. Just like Control + B usually serves as the universal shortcut for making text bold in word processors, might a universal system be developed for 3D design allowing people to migrate from one platform to another with relative ease? SketchUp is one of several 3D design tools that is free online (though there is a Pro version too) and can be taught to one's self rather quickly. There is such a wealth of video tutorials on YouTube covering every aspect of using SketchUp for every imaginable application (interior design, architecture, product and industrial design, and even graphic design) you are almost certain to find a virtual teacher that suits you and that is able to guide you through the basics. One method for learning SketchUp rather than struggling to learn and memorize all the tools first, is to just dive into a simple project and learn each tool as you need it. If you run into trouble, you can find forums online where it is almost guaranteed someone else had the same problem and solved it that you can learn from. In all, teaching yourself to design and to do so in 3D where it can then be applied to 3D printing and other forms of computer controlled manufacturing, is probably a lot less challenging than teaching yourself to read and only marginally more difficult than learning the basics of using a computer. If you can use a computer, it is almost certain that you can learn SketchUp. SketchUp models can then be converted into .STL files, a file format most 3D printers can read. You can print out your design, and don't worry! If it doesn't work the first time, keep trying until it does. There are no real failures in the beginning because it is a learning process. The first object you do successfully design and print yourself, will be a memorable experience and most likely the first of many. If you are in Bangkok and would like to learn about 3D design and 3D printing, contact us via Facebook and we would be happy to help match you up with a workshop.